The teachings given at Lama Tzong Khapa Institute stem from the original teachings of Buddha Shakyamuni, preserved by the scholars and practitioners of Nalanda Monastery in ancient India and later in Tibet. 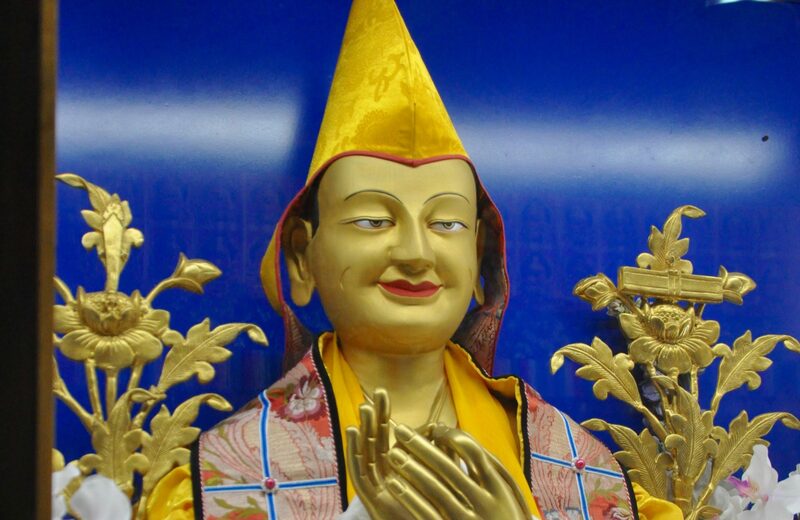 Lama Tzong Khapa was a renowned Buddhist scholar and practitioner in Tibet in the 14th Century. His legacy is a lineage of highly realized Buddhist practitioners of the Gelug School, one of four Tibetan Buddhist traditions, all of which are a form of Mahayana Buddhism that include the study and practice of both sutra and tantra. 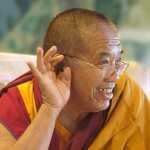 Since its founding many Tibetan masters have taught at Lama Tzong Khapa Institute including His Holiness the 14th Dalai Lama, the Dalai Lama’s Senior and Junior tutors, His Holiness Kyabje Yongzin Ling Rinpoche and His Holiness Kyabje Trijang Rinpoche, Serkong Tsenshab Rinpoche, Kyabye Song Rinpoche, and many great teachers, as well as the founders of the Institute, Lama Thubten Yeshe and Lama Zopa Rinpoche, its past resident teachers, Geshe Yeshe Tobden, Geshe Jampa Gyatso, and Khensur Jampa Tegchok Rinpoche, and its’ current resident teachers, Geshe Tenzin Tenphel and Geshe Jampa Gelek. When the Thirteenth Dalai Lama died in 1935, the Tibetan Government had not simply to appoint a successor, but to discover the child in whom the Buddha of Compassion would incarnate: the child need not have been born just at the death of His predecessor, or even very soon thereafter. 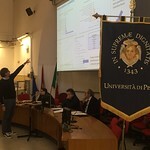 As before, there would be signs of where to search. For example, when the Thirteenth Dalai Lama’s body was laid in a shrine facing south, His head turned to the east twice, and to the east of his shrine a great fungus appeared on the east side of a pillar of well-seasoned wood. The Regent of Tibet went to the sacred lake of Lhamoe Lhatso, where Tibetans have seen visions of the future. There he saw, among other things, a monastery with roofs of green jade and gold and a house with turquoise tiles. A detailed description of the entire vision was written down and kept a strict secret. In 1950, at the age of sixteen and still facing nine more years of intensive religious education, His Holiness had to assume full political power when China invaded Tibet. In March of 1959, during the national uprising of the Tibetan people against Chinese military occupation, He went into exile. Since then He has lived in the Himalayan foothills in Dharamsala, India, the seat of the Tibetan Government-in-exile, a constitutional democracy since 1963. Dharamsala, aptly known as Little Lhasa, also has cultural and educational institutions and serves as a “capital-in-exile” for 130,000 Tibetan refugees living mainly in India; others are in Nepal, Switzerland, the UK, the United States, Canada and thirty other countries. In the past decade, the Dalai Lama has tried to open dialogue with the Chinese. He proposed a Five-Point Peace Plan in 1987-88, which would also stabilize the entire Asian region and which has drawn widespread praise from statesmen and legislative bodies around the world, but the Chinese have yet to enter into negotiations. Lama Thubten Yeshe was born in Tibet and at the age of six entered Sera Je Monastic University, Lhasa. He studied there until 1959 when the Chinese invasion of Tibet forced him into exile in India. Lama Yeshe continued to study and meditate in India until 1967 when, with his chief disciple Lama Thubten Zopa Rinpoche, he went to Nepal. Two years later and in order to teach Buddhism to Westerners, he established Kopan Monastery, near Kathmandu. In 1974, the two Lamas began making annual teaching tours to the West, and as a result of these travels a worldwide network of Buddhist teaching and meditation centers (the FPMT) began. 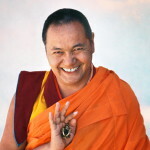 In 1984, after an intense decade of imparting a wide variety of teachings and inspiring many Westerners to engage in the study and practice of Buddhism, Lama Yeshe passed away at the age of forty-nine. 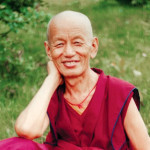 He was reborn as Ösel Hita Torres in Spain in 1985, and recognized as the incarnation of Lama Yeshe by His Holiness the 14th Dalai Lama in 1986. Lama Zopa Rinpoche was born in Thami, Nepal and at the age of three he was recognized as the reincarnation of Sherpa Nyingma yogi, Kunsang Yeshe, the Lawudo Lama. When he was ten years old, Rinpoche went to Tibet and studied and meditated at Domo Geshe Rinpoche’s monastery near Pagri, until the Chinese occupation of Tibet in 1959 forced him to leave Tibet for the safety of Bhutan. Rinpoche then went to the Tibetan refugee camp at Buxa Duar, West Bengal, India, where he met Lama Yeshe, who became his closest teacher. The Lamas went to Nepal in 1967, and over the next few years built Kopan and Lawudo Monasteries. 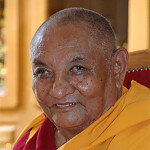 In 1971 Lama Zopa Rinpoche gave the first of his famous annual lam-rim retreat courses, which continue at Kopan to this day. In 1974, with Lama Yeshe, Rinpoche began traveling the world to teach and establish Dharma centers. When Lama Yeshe passed away in 1984, Rinpoche became spiritual director of the FPMT. Geshe Tenphel was born to a nomadic agricultural family in Domo, Tibet, near the province of Sikkim, India. In 1959 with the Chinese invasion of Tibet, Geshe Tenphel’s family fled to Sikkim and later to south India. Geshe Tenphel became a monk when he was nine years old but continued studying at the local secular school while memorizing Buddhist scriptures in his holidays. He entered Sera Je monastery at the age of 17, where he completed 21 years of a monastic scholastic education, graduating with honors in 1994 with a Lharam Geshe degree, the highest Tibetan Buddhist doctorate conferred in the Gelug tradition. 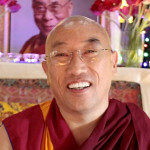 Geshe Tenphel studied tantra at Gyu To Tantric College for a year before being asked to take part in an international tour of Sera Jey monks. In 1997 he led the group of monks at Sera Je specialized in practices related to Hayagriva. Since January 1998 he has been resident teacher at Lama Tzong Khapa Institute, where he teaches numerous short courses as well as the Basic Program and Masters Program. As a resident teacher at the Lama Tzong Khapa Institute since March 2012, Geshe Jampa Gelek is the current teacher of the FPMT Residential Master’s Program Tantric studies. He received the Lharampa degree graduating first in his class in 1999 having completed the entire monastic education at Sera-je monastery, South India. His class was considered exceptional, including fellow student Dagri Rinpoche. Born in Tibet in 1930, Khensur Rinpoche became a monk at the age of eight. He studied the major Buddhist treatises at Sera Je Monastery in Tibet for fourteen years before the Chinese invasion in 1959. He continued his studies at Varanasi University, India, where he obtained his Acharya (Master) Degree and taught for seven years. He then went to Europe where he taught in England for three years and at Nalanda Monastery in France for ten years. In 1993 His Holiness the Dalai Lama appointed him as abbot of Sera Jey Monastic University in South India. He held this post for eight years and is much revered for the enormous contribution he made to Sera Jey’s flourishing and development – both spiritual and material – during his term as abbot. Before and after his abbotship, he also taught extensively in Europe, New Zealand, and the United States. 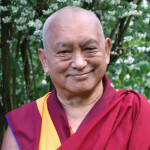 During his time as resident teacher at Lama Tzong Khapa Institute (2009-2011), Khensur Rinpoche taught the Middle Way philosophy (Madhyamika) as part of the FPMT Masters Program curriculum. Geshe Jampa Gyatso, known affectionately to at the Institute as Geshe-la, was born to a nomadic family in Tibet, in an area called Dham close to Lhasa. He was ordained as a young child, but remained with his family to tend the family’s herds until the age of thirteen. During his studies at Sera Jey Monastery, Geshe-la soon became close friends with another young monk named Thubten Yeshe (later the founder of the FPMT). In 1959 Geshe-la fled to India where he renewed his studies at the refugee camp at Buxa Duar, then at the newly-formed Sanskrit University in Varanasi, and finally at the Lower Tantric College. He was awarded the highest rank of Lharam Geshe in 1972, as well as the Acharya (Masters) Degree and the tantric title of Ngagrimpa. Some years later, after engaging in various research and study projects, Geshe-la received a letter from his old friend, Thubten Yeshe, requesting him to travel to the West to teach. In 1980, after a brief stint teaching Westerners at Kopan Monastery in Nepal, Geshe-la arrived at Lama Tzong Khapa Institute. 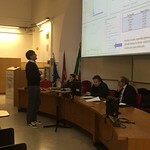 He remained there as resident teacher until his death in November 2007. During this time he taught an enormous number of courses of varying lengths at Lama Tzong Khapa Institute as well as at many other FPMT centers in Italy, Spain, France, and England. In addition, from 1983 to 1997 he completed extensive commentaries on three of the great treatises (Abhisamayalamkara, Madhyamakavatara, and Abhidharmakosha) as part of the newly created Geshe Studies Program. 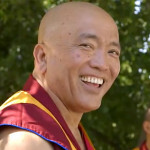 From 1998 to 2004 he taught the FPMT’s first residential Masters Program, and from 2005-2007, together with Geshe Tenphel, he taught Lama Tzong Khapa Institute’s first residential Basic Program. 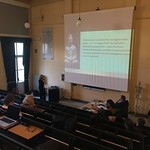 Geshe-la also acted as abbot of Nalanda Monastery in France, as well as of Takden Shedrup Dhargye Ling Monastery and Shenphen Samten Ling Nunnery in Italy. He passed away on 27 November 2007 and remained absorbed in meditation (tukdam) for one week during which there was no signs of physical decomposition. His body was cremated with a traditional ceremony at Lama Tzong Khapa Institute on Lama Tzong Khapa day. Geshe Yeshe Tobden studied at Sera Me Monastic University in Tibet until 1959 when he was arrested and imprisoned due to the Chinese invasion. He escaped and spent two years crossing the Tibetan plateau on foot to India. There, he finished his studies and achieved the Lharam Geshe degree at Sera Mey Monastic University in India. In 1979 Geshe Yeshe Tobden became the first resident teacher at Lama Tzong Khapa Institute where he taught for two years. His knowledge and great compassion conquered the hearts of many disciples who began their spiritual practice under his guidance. For most of the last 30 years of his life he meditated in a single-room hut above McLeod Ganj in Dharamsala, India, while returning to teach in Europe and the USA every two years. He passed away on 31 July 1999 and remained absorbed in meditation (tukdam) for 12 days during which there were no signs of physical decomposition. Following long and careful investigation, His Holiness the Dalai Lama strongly discourages Tibetan Buddhists from propitiating the fierce spirit known as Dolgyal (Shugden). He has stated that, as a Buddhist leader with a special concern for the Tibetan people, it is his responsibility to speak out against the damaging consequences of this kind of spirit worship. Whether or not his advice is heeded, His Holiness has made clear, is a matter for the individual. 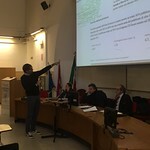 However, since he personally feels strongly about how negative this practice is, he has requested those who continue to propitiate Dolgyal not to attend his formal religious teachings, which traditionally require the establishment of a teacher-disciple relationship. Thank you. A more detailed statement regarding this practice can be found here.